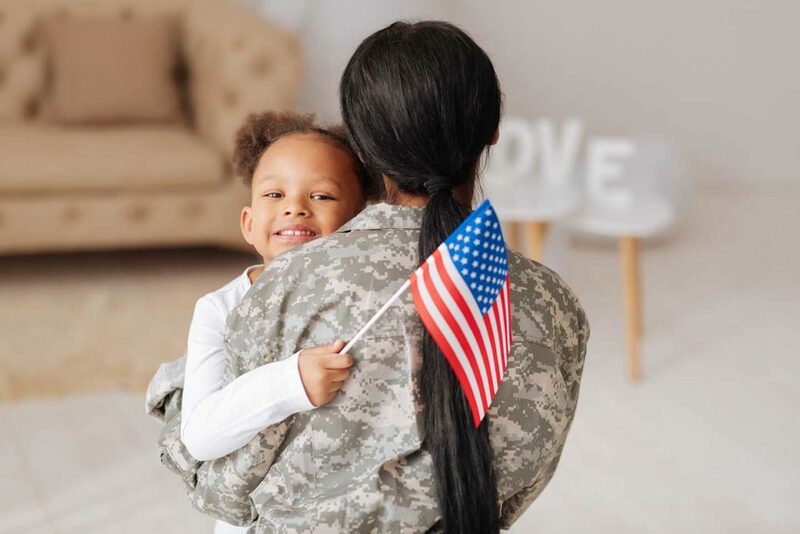 Are you an active military member or veteran, and not sure of the benefits of investing in a home? We're here to help you out. Service deserves rewards! You give so much to serve our country, we want to return the favor. If you've served in the Army, Marines, Navy, Air Force Coast Guard, National Guard, Reserves, or are a surviving spouse that died in the line of duty or died as a result of service-related disability, you qualify for a VA Loan! This loan help you receive an abundance of benefits that everyday citizens of the United States aren't eligible for. Qualified borrowers in most parts of the country can purchase homes up to $417,000 without making a downpayment. This is required for conventional borrowers who can't put at least 20% on downpayment. The VA Typically looks for debt-to-income ratio of 41% or less. The benchmark is higher than what you would see on conventional and FHA loans. You can pay off your VA loan early with no fear of getting hit with any prepayment penalties. Other types of loans may penalize borrowers for trying to get ahead of the game. After a bankruptcy or foreclosure, those who qualify can be eligible for a VA home loan within shorter timeframes than other programs. If you're interested in learning more about the benefits of transitioning into homeownership and our VA home loan program, reach out to one of our specialists today!